“Michael Tubridy and James Keane”, October 12, 2013. 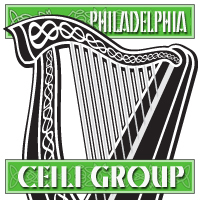 This is a two hour performance put on at the Irish Center at the Commodore Barry Club in Philadelphia, on October 12, 2013, by Michael Tubridy (flute) and James Keane (button accordion), two pioneers of 20th century Irish traditional music. Having played together and apart for decades in several of the most influential groups in Irish music, including The Castle Ceili Band, Fingal, and The Chieftains, Tubridy and Keane rejoined each other after 50 years to enjoy some tunes and reminisce about the early days of the Irish traditional music renaissance of the 1960’s and ’70’s.